As veritable oceans of stolen usernames and passwords become available for sale and mobile develops into the preferred method of accessing the Internet, e-commerce businesses large and small are reporting significant increases in a new method of attack. 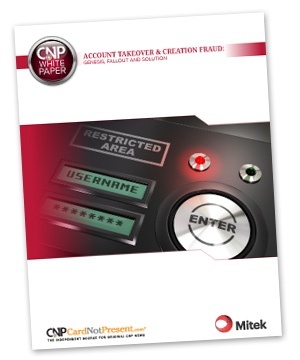 Account takeover and account creation fraud are on the rise. This white paper from CardNotPresent.com Editor-in-Chief DJ Murphy helps merchants and payment companies better understand account takeover fraud and the options available to protect themselves and their customers from this new scourge.